Order tension washers for your insterior wood shutters. Tension Washers are used in the construction of new plantation shutters where tension screws are incorporated into the panel. 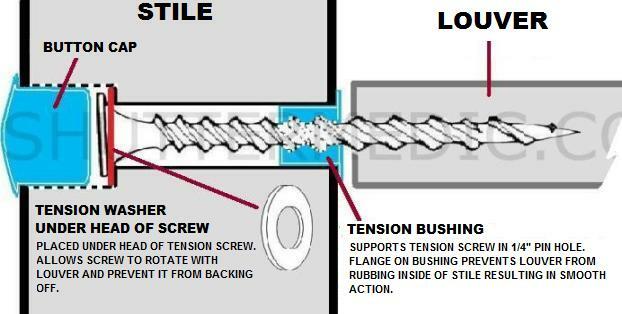 In the diagram below a single Tension Washer is placed under the head of the Tension Screw in conjunction with the use of a Tension Bushing. 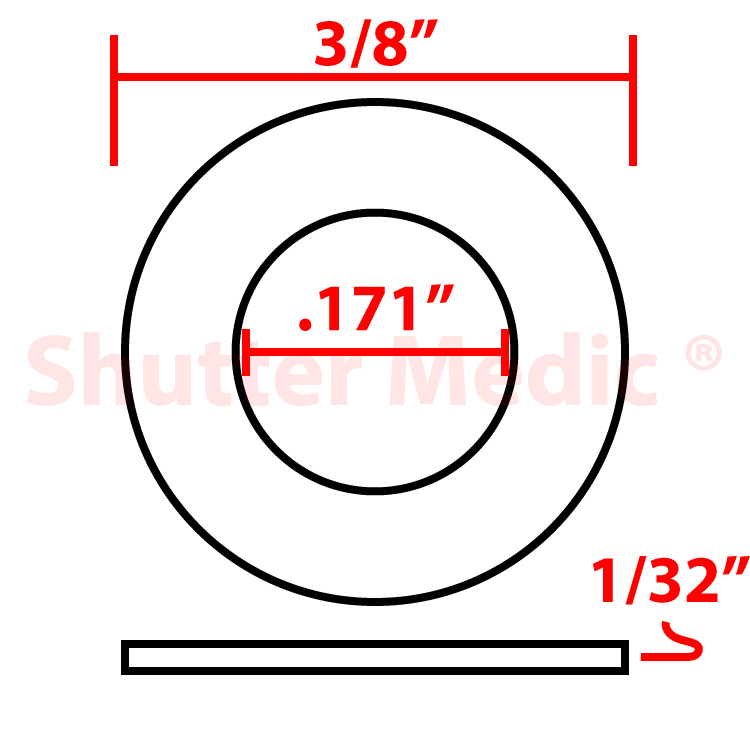 The Tension Bushing was utilized in this depiction because a 1/4 inch diameter hole existed in the Stile. The Bushing was used to reduce the diameter of the hole and support the Tension Screw in the center of the hole. If your Stile hole was drilled specifically to support the Tension Screw, then a Tension Washer would be placed on the screw between the end of the Louver and Stile. Tension Washers are made of nylon which has a low friction coefficient resulting in smooth action of louver(s). I recently bought a new 30 year old home and the plantation shutters were beautiful but they didn't stay open. I didn't want to buy new shutters, so I tried these washers and they work great! Now my shutters stay in whatever position I put them in. Thanks! So simple yet so effective. We won´t need an old audio cassette box we were using to keep the louvers open. Five Stars and Two Thumbs Up!